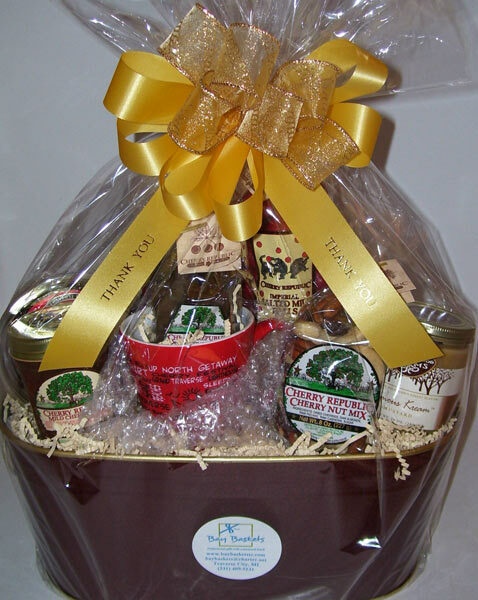 To make your gift basket even more special let Bay Baskets personalize your gift with beautiful imprinted ribbon. Add your business name or a personal message to make the gift reflect your intentions. Maybe you would like to thank a nursing staff for their great care during a recent hospital stay or maybe you would like to thank a client or thank another business for their generous referral. We can put your message right on the gift. 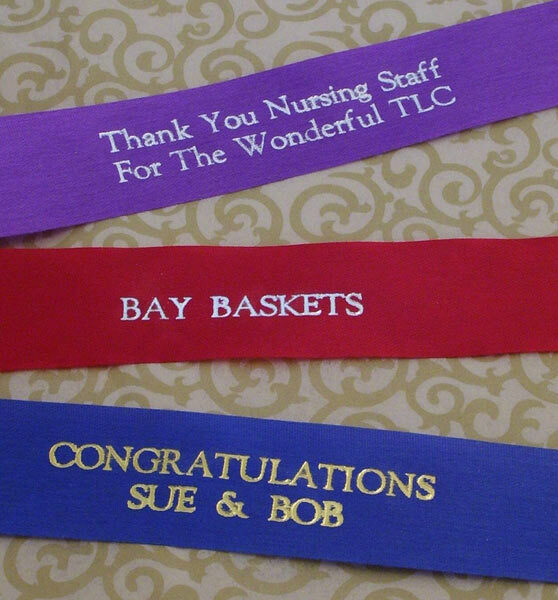 The imprinting is available in gold, metallic silver, matte silver, and copper lettering on a variety of colored ribbon. 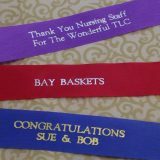 Imprinted ribbon is $2.50 additional per gift but quantity discounts are available. 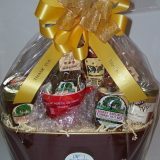 Call Bay Baskets at 231 409-5131 or email at [email protected] for questions or more information about imprinted ribbon.